As they as they have since the early part of the century, sheep migrate north each spring from the lower elevations of the Snake River plain of Southern Idaho, traveling in bands of close to 1,500 sheep, through the Wood River Valley to summer high mountain pastures. This traditional route takes them up Highway 75 through newly populated, residential areas and the towns of Bellevue, Hailey and Ketchum. Some continue their journey over Galena summit into the Sawtooth Mountains. 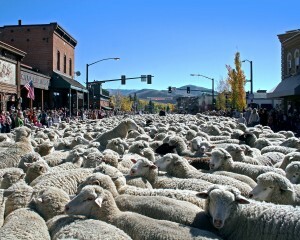 In the fall, the animals retrace this trail south to desert fields and it is this return migration that we celebrate as the Trailing of the Sheep Festival. Today the Annual Trailing of the Sheep Festival honors this proud tradition of the history and heritage of sheep ranching in the region. 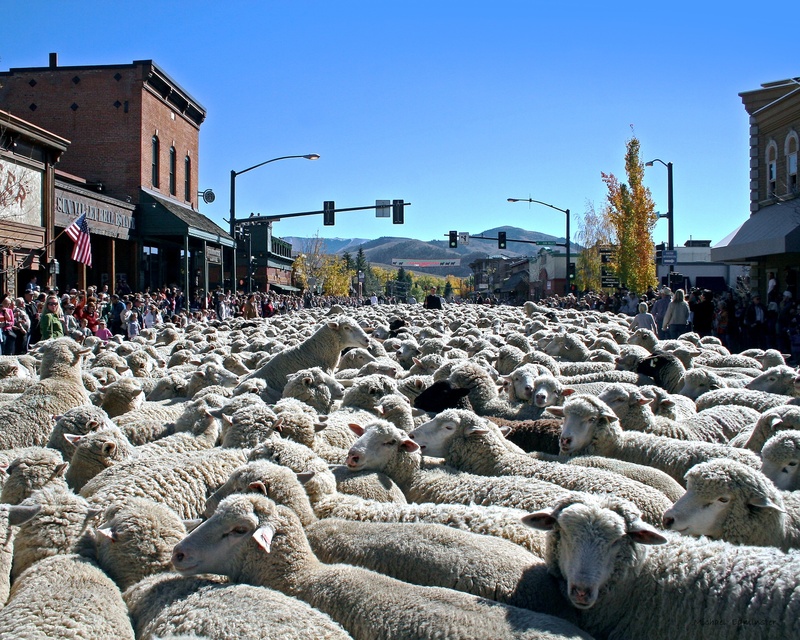 Check out the Trailing of the Sheep Festival website for more information the festival is full of sheep and stories, of music, food, hikes, and history.